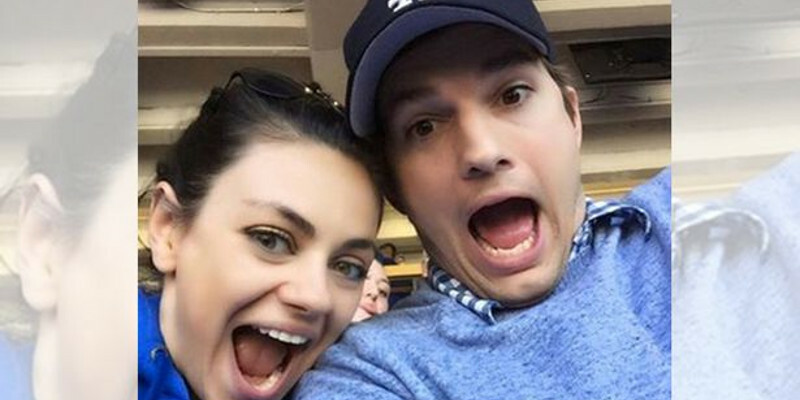 We all know who Mila and Ashton are – two famous and very rich Hollywood actors, who own millions of dollars. To be exact, the couple owns about $255 million. So, this very rich couple recently announced that their kids (they have a boy and a girl) won’t be getting anything for Christmas, as this will be the “new tradition” for their family. Their two kids – Dmitri (1) and Wyatt (3) are two ordinary kids, but their parents think that if they get presents on 25th of Dec., they’ll become a…oles. At least this is what the couple told Entertainment Tonight. Mila said that last year, when their daughter Wyatt got her Christmas presents, she was so happy that it felt uncomfortable. So, this year, they are planning to teach her not to appreciate gifts anymore. Mila, who is a very famous actress, known for films like Friends with benefits, Ted and many others, stated that all this endless presents thing during Christmas is what actually killed the holiday itself and the kids are not appreciating the single gift anymore, but are impatient just to get more and more stuff. Actually this started last year as they decided not to give presents to the their kids. They even asked their parents to pick up just one gift per kid, so they could appreciate it better. As this sounds somehow reasonable, people are doubted whether it’s a good decision or not. Some people approve, others do not. Personally, I agree with the “one gift” part, but also think that this “no present tradition” is a bit too much. Let us know your thoughts in the comments below.